My daughter has an obsession with my perfume, often sneaking in to my bedroom when I am unaware and having a squirt. 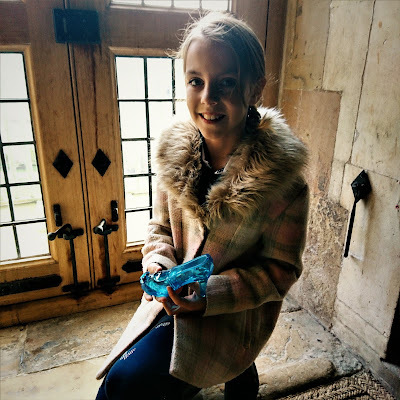 So when I was offered the chance for her to receive the Disney Princess Cinderella Glass Slipper EDT and told her the news she was really excited and looked forward to it arriving. The perfume has been specially designed for children and is suitable for them to use every day. It is alcohol free and hypoallergenic so you know beforehand that it will not aggravate sensitive skin. The slipper itself holds 30mls of perfume which also has glitter in to give that dazzling effect. The fragrance is light and perfect for little ones first perfume. Gee was really impressed with the glass slipper and insisted on taking it with us on a recent visit to a Castle, what better way to present it. Cinders has found her glass slipper and now she just needs to find her Prince Charming. 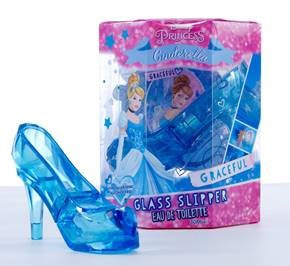 The Disney Princess Cinderella Slipper would make a fantastic stocking filler for any little girl this Christmas. It is available from Boots, Asda, Tesco and Sainsbury's priced at £10 but is currently on offer in Sainsbury's for £7. 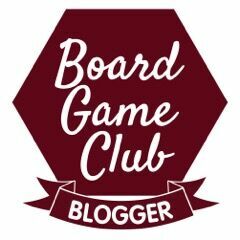 We was sent this item free of charge for the purpose of this review but the opinion is our own. What a lovely stocking filler for a little girl! That is such a cute gift- perfect for a princess fan! This is the perfect stocking filler for any kid!Hope Cinders finds her Prince Charming! Beautiful! It will for sure make a wonderful gift for any girl. This is so cute, ive just alerted my sister in law as my niece is Cinderella mad! Ohhh my daughters would LOVE this!! How fab!